Currently there are 9 automobile manufacturers in VN. Mekong Auto Corporation headquartered in Ho Chi Minh City, Vietnam, is a car manufacturer and assembler founded in 1991. The first car was built at the Delta Auto Plant on May 20, 1992. Japanese Saeilo Machinery Japan Inc. is the major shareholder of the company, owning 51%. The company opened Co Loa Auto Plant in Ha Noi City in 1993. The company works with Fiat S.p.A. (Fiat cars and Iveco trucks), Pyeonghwa Motors and SsangYong. 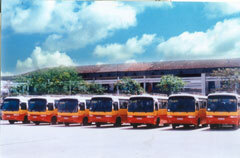 Saigon Transportation Mechanical Corporation (SAMCO) operates under the parent - subsidiary model according to Decision No. 2988/QĐ-UB dated July 7th, 2010 by the HCM City People' Committee. Its multi-field business activities, with each of the fields playing an important part in the city’s socio-economic development, gather numerous resources, mutual assistance and cooperation abilities in several areas. In addition, SAMCO has manufacturing mechanical engineering as a key industry designated by the government as one of the four corporations undertaking a key task of developing Vietnam's automotive industry. Seems to be manufacturing buses in conjunction with Hundai and Daewoo. VEAM Vietnam is also partner of many joint ventures with foreign assembly projects and production of automobiles, motorcycles and other mechanical products. Vinacomin operates within many different sectors such as coal exploitation, processing and selling, explosive and cement production, shipbuilding, automobile manufacturing, tourism, hotels, financing, services and power generation in thermal power plants, including the Cao Ngan thermal power station with China's Harbin being its main contractor and Na Duong thermal power station with Marubeni being its main contractor. The State-run Vietnam Motors Industry Corp., or Vinamotor, set to be one of four backbones of Vietnam’s automobile industry by 2015, plans to manufacture 19,300 automobiles in 2006, up 42.49 per cent on year. 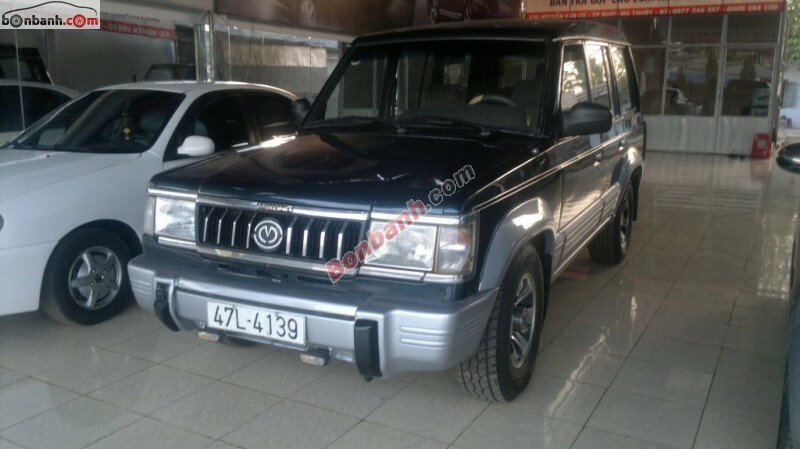 Vinaxuki or Xuan Kien Auto JSC is a Vietnamese automaker (and brand name) headquartered in Hanoi, Vietnam. Established in 2004, the company manufactures and assembles cars and mini trucks under its own brand name as well as other Chinese brands. Since it was established, Vinaxuki has launched 38 truck models, two semi-truck models, two touring car models and two coach models. As far as price competitiveness, the Vietnamese auto industry enjoys domestic protectionist policies. Cars and car parts of imports are taxed 60%. However VN does not have supporting industries so they have to import parts which are taxed 60% making the automobiles more expensive than it should be. But in 5 years VN will eliminate import duties as a free trade agreement with ASEAN. So parts will be available for cheaper. However, import cars will be cheaper so it has to compete with foreign made vehicles especially from Thailand. They would have to worry about advertisement to capture public interests also. The Vietnamese government also don't want more cars on the road. They want public transportation. 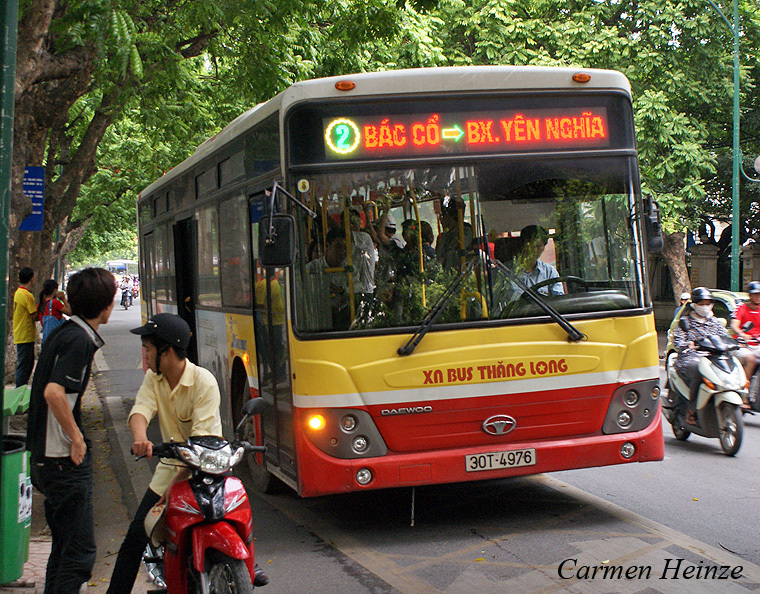 That's why most Vietnamese automakers mainly make buses and cargo trucks. Maybe they can export these buses if they can develop an advance technology. Vinamotor and Seimens just developed a hybrid deisel-electric bus in Hanoi to reduce air pollution and save fuel. The Vinaxuki line has a lot of variety. This is the Vinaxuki Pickup 650X. Costs $10k. Has anyone seen anyone driving a pickup truck is VN? Wouldn't there be at least 50 people riding in the back? I want one of these to haul rocks. The Truong Hai Automobile Company (Thaco) has introduced the locally made new Kia Sorento at showrooms across the nation this month. The Sport Utility Vehicle (SUV) has been the second design unveiled by the brand, which is being manufactured at the Thaco Kia Plant in the Truong Hai-Chu Lai Auto Complex in the central Quang Nam Province. The new diesel engine Sorento, which is offered at a price of VND1 billion (US$47,600), will offer a boost to the SUV segment of the auto market during the second quarter of 2014. The car maker sold 28,284 vehicles last year and recorded a 14 per cent growth. Kia posted the best sales figure of 8,870 cars last year. Thaco has so far manufactured and distributed three brands: Kia of South Korea, Mazda of Japan, and France's Peugeot. The company launched the first locally made Peugeot 408 model, in collaboration with the French automaker, Peugeot, before manufacturing and assembling the Peugeot 3008 model.